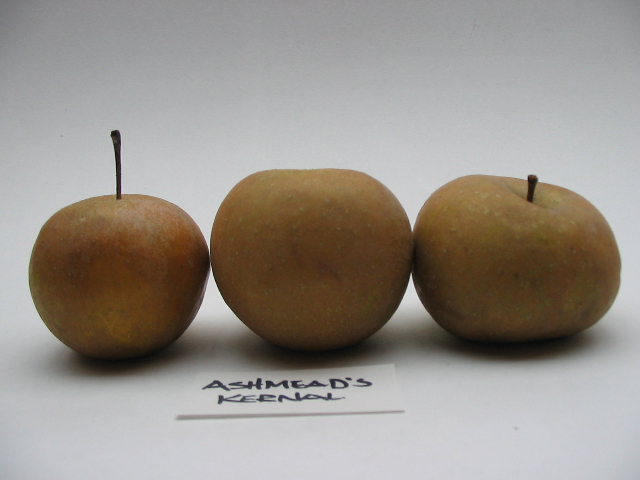 Ashmead's Kernel may be a seedling of Nonpareil that originated in Gloucester, England about 1700. It is one of the more common English apples to be planted insmall commercial orchards in New England. The golden russetted apple has a distinctive buttery flavor and a somewhat dry texture. It’s easy to tell why the apple is held in high regards. We recommend it as a dessert (fresh eating) fruit. It is also being used in single variety hard ciders and cider blends. West County Cider in Colrain, MA makes a Ashmead's Kernel single variety hard cider that is one of our favorites.